Hobby's Matchmaker Norfolk Windmill Kit contains: Printed Card Glue Matches Full Instructions. Hobby's are pleased to bring you this Matchmaker Kit which includes the products needed to complete the incredible model as illustrated. The enclosed step-by-step instructions will guide you through each stage of construction until you finally achieve the finished product. 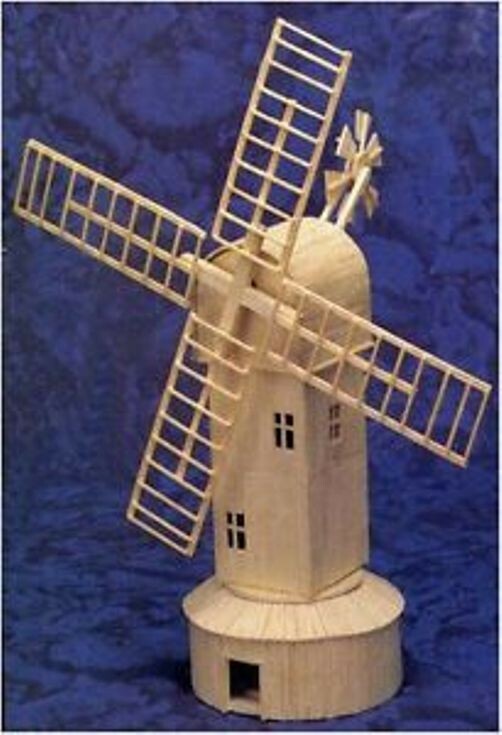 Originally windmills were developed for milling grain for food production. In the course of history the windmill was adapted to many other industrial uses. An important application was to pump water.